The meeting had an interactive discussion on the draft AMRO Regional Economic Monitoring (AREM) Report for the month of June, as well as the draft Thematic Study, “Uncertainties in Output Gap Estimation and Implications on Policy Discussion”. During the meeting, the AP also selected Dr Bandid Nijathaworn to serve as the new Chair of the AP, succeeding Professor Kyung-Wook Hur. Dr Nijathaworn will serve as the Chair until June 2017. 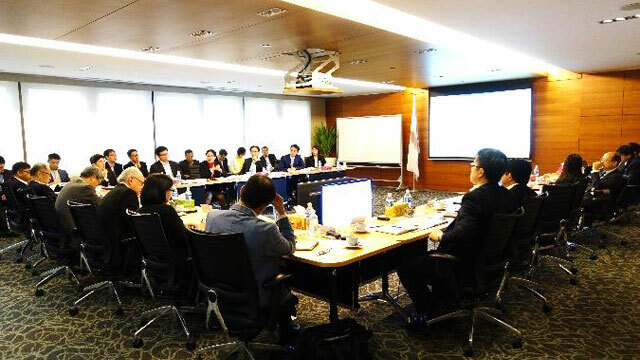 Director, Dr Chang Junhong, Chief Economist, Dr Hoe Ee Khor and, Deputy Director (CMIM, Strategy & Coordination), Mr. Yasuto Watanabe, attended the meeting.